Large screen size with a notch and thin bezels. Smart AI camera with Creative features. A tendency to mildly heat up with extended use. The phone feels really strong in terms of design and builds qualitywise. The main highlight of the phone is the camera, there are various AI modes in the camera. Low light photos also turn out really good because of AI, which basically helps in taking long exposure shots. Overall the gaming and the performance is amazing of this phone. I play Pubg all the time on my android phone which is the reason why I purchased this device. Honor Play has a powerful processor which can handle all the heavy tasks. The device has solid build quality, okayish camera and killer battery life. This phone is no doubt the best gaming phone at this budget. The processor is of flagship standard is generally found in expensive phone. The turbo gpu feature is very helpful in playing games like Pubg. It is not a camera phone so don&apos;t expect good pictures at all. It also has a fast charging feature which comes in handy. Honor play is an exceptional device . It has a huge display with thin bezels and the resolution of this device is also very high, the battery life is also very good as it can last for a day easily, the camera also has AI enhancements which lets you click some amazing shots, and the performance is also exceptional on this device. I would totally recommend this phone. 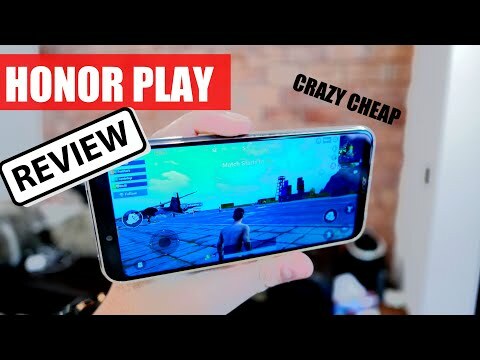 Honor play is a beast and value for money. It has very good performance , then the display is also of every good quality and high resolution too , then the front camera is very good as it has AI enhancements which makes your pictures looks every better. 12 Pricebaba users have written their experience with Honor Play. If you own Honor Play, please do leave your feedback too. Warranty Details 1 year manufacturer warranty for device and 6 months manufacturer warranty for in-box accessories including batteries and 3 months for Data/USB Cable from the date of purchase. Lowest price of Honor Play price in India starts at Rs. 14,999 Honor Play is available on Amazon at Rs. 14,999. Prices updated on 26th April 2019. The design is a thin metallic unibody with a tall display, which is a 6.3-inch full-HD+ IPS LCD panel with a resolution of 1080×2340 pixels and a 19.5:9 aspect ratio. Like all leading phones today, Honor Play has a dual 16MP and 2MP camera at the rear with assisted dual LED flash. A16MP camera sits at the front. The phone comes packed with Huawei’s flagship HiSilicon Kirin 970 chipset and a GPU Turbo option technology that delivers amazing performance. The call quality is improved by a new antenna design. Along with this, the phone has a huge 3750 mAh battery and comes with Huawei’s fast charger to make sure your phone never runs out of juice. The phone sports Android Oreo 8.1 with a custom skin from Huawei on top of it, known as the EMUI 8.2. Functions such as the one-hand mode, navigation gesture, and themes catalog are included.